White Dresses, a collection of Southern bridal shops, teamed with White Rabbit Studios for a stunning styled shoot featuring a gorgeous gown available at both our Huntsville bridal shop and Nashville bridal shop. 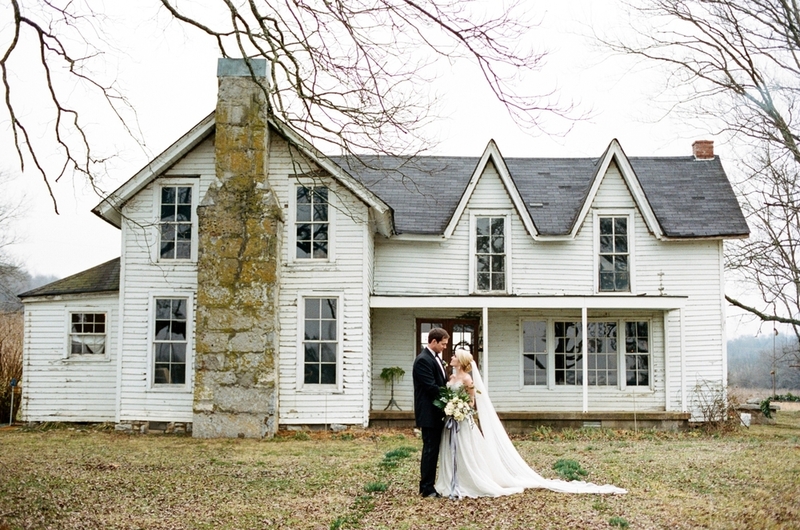 The shoot was set at the dreamy Hardy Chambers Farmhouse in Tennessee. When styling the shoot, our desire was to allow the natural textures and rustic beauty of the location to shine through. When styling the bride, we selected a stunning Anna Maier gown that boasted a hand-embroidered bodice and a lace and silk organza skirt. 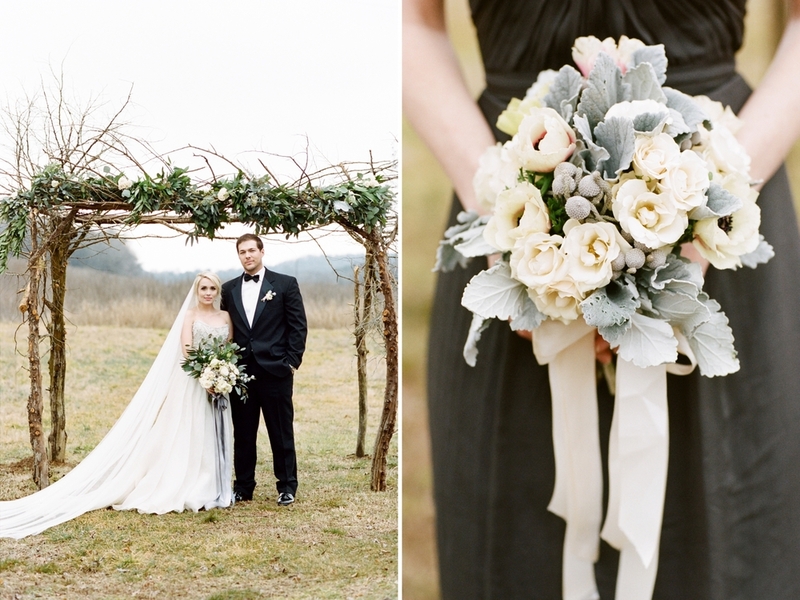 This gown perfectly matched the rustic and romantic feel of the shoot. Floral designer, Stems and Styles, from Birmingham, Alabama, created a stunning tablescape on the venue's tree swing. When styling the florals, Stems and Styles stayed true to rich greens and accented them with a few white flowers. 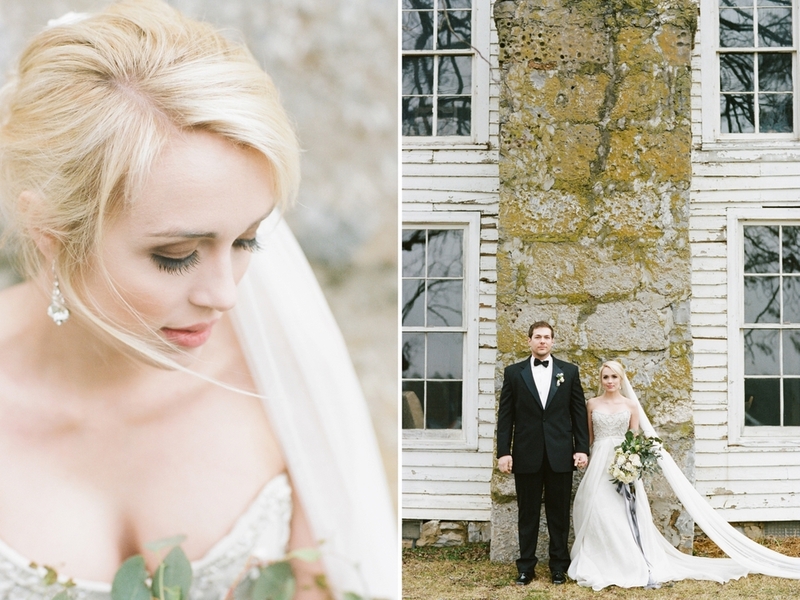 Hair and makeup was done by Nashville bridal shop owner, Kara Leonard, who selected soft tones to highlight the model's natural beauty and opted for a loose undo that would stand the humidity that the Tennessee air can sometimes bring. Paper designer, Linen and Leaf, created a stunning organic paper suite that used stunning gray tones. White Dresses would like to thank White Rabbit Studios and the other vendors involved at the shoot for their amazing contributions. Please check the vendor listing at the bottom of the post to see a full list of vendors involved.